Almost five-years into the "war against pollution," Chinese policymakers have made considerable progress in reducing levels of air pollution, according to findings released by the Energy Policy Institute at the University of Chicago (EPIC). Using satellite data, the Air Quality Life Index (AQLI) found that levels of small particulate air pollution across China were down 12 percent in 2016 compared to 2013 levels. Overall, these findings amount to an additional six months in life expectancy for the average Chinese citizen. However, certain regions yielded even more dramatic results. Tianjin, one of China's three most polluted citiesfor some time, saw particulate pollution drop by 14 percent in 2016. If sustained, this would mean a 1.2-year gain in life expectancy for the city's inhabitants, compared with 2013. The results were most impressive in Henan province, where life expectancy increased by 1.3 years, due to a twenty percent reduction in particulate pollution. Michael Greenstone, Milton Friedman Professor in Economics and director of EPIC, who was speaking at the Chinese launch of the AQLI in Beijing, said "China's efforts to reduce pollution in recent years have delivered, with satellite data showing a more than 10 percent drop in pollution as of 2016. And, more recent monitoring data are revealing even larger declines." "If these improvements are sustained, China's people can expect to lead healthier, longer lives," he asserted. The AQLI is a global pollution index that tracks particulate air pollution and assesses its impact on life expectancy. The results so far indicate particulate pollution is the single greatest hazard to human health, with its impact on life expectancy exceeding war, HIV/AIDS and cigarette smoking. "Around the world today, people are breathing air that puts their health at risk. Yet, the way this risk is communicated is very often opaque and confusing,"Greenstone said. "The AQLI translates particulate air pollution into perhaps the most important metric that exists: its impact on life expectancy." As part of the Chinese launch of the AQLI, the University of Chicago and the University of Chinese Academy of Sciences (UCAS) also pledged to further study important questions in energy, environment deterioration and climate change. 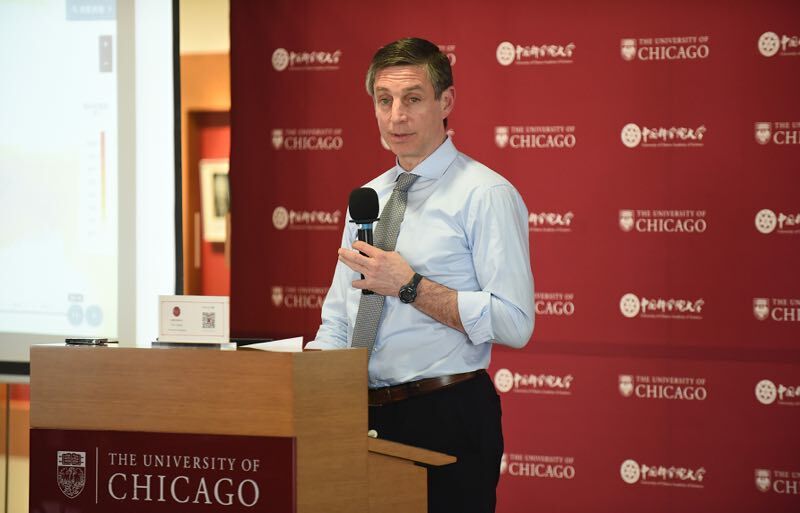 Dr. Kevin Mo, managing director of the Paulson Institute Representative Office in Beijing, presided over the Beijing event, where Li Shushen, president of UCAS, stressed that, "our relationship combines the prominent engineering expertise of UCAS with the University of Chicagos global leadership in economic analysis. Working together, I believe these two perspectives have the ability to produce new ideas and solutions that might not exist otherwise. It is truly exciting." Almost five years into the "war against pollution," reduced levels of pollution have resulted in a six-month increase in life expectancy for the average Chinese citizen.